On 1st September 2017, Yell Limited announced the next edition of the Yellow Pages will be the last, with the final Brighton edition for 2019 coming fifty years after the book was piloted there. Like Pears’ Cyclopaedia, whose final edition, after 120 years, was announced by Penguin Books on the same day, when did anyone last use the Yellow Pages? Let’s see: opening up the final edition for my area, which arrived last month, I randomly find the category “Video & DVD Hire & Retail.” In the UK, the final Blockbuster Video closed in 2011, and the first Blu-ray disc went on sale in 2006. Yes, the same category in the previous year’s Yellow Pages didn’t have anything listed under it either, save from telling me to turn to the section titled “Music Shops (CDs & DVDs)”. Both editions have only one listing there, for an independent record store based over thirty miles away, in another county altogether – there is one in my home town, and it is not listed, along with three others I can think of, and perhaps many more besides them. 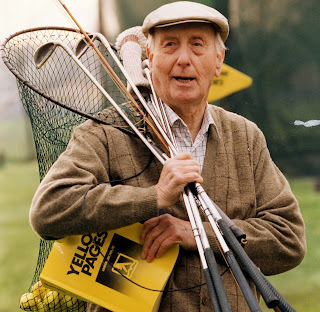 Before getting on to how the internet changed everything, TV ads for the UK Yellow Pages focussed entirely on the good things in life, rather than just referring to the book when you have a blocked drain or a broken window, which were the examples they gave. Instead, you have the examples of how it can solve problems for the better, like finding a French polisher before your parents get back, or finally finding a copy of the book on fly fishing you once wrote. 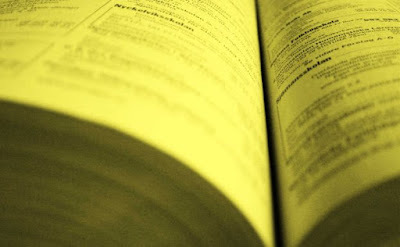 On the other side, businesses will want to pay to advertise in the Yellow Pages because everyone is likely to use it – I remember the banks of shelves in my local library that collected all the phone books for the whole UK, but I haven’t been there in some time. Now, there are simply easier, quicker, cheaper and more effective ways of finding the same information, and this was foreseen very early. Yell.com has operated since 1996, pre-dating Google by two years, and offers free listings for businesses, while continuing to make money off both online advertising and their directory enquiries number 118 247, which began in 2003. Their main competitor, the Thomson Directory, launched when British Telecom took over Yellow Pages production from Thomson in 1980, has already ended in print form, and now specialises in website design, SEO builders, and all the stuff to make your business easier to find online – their 2014 printed directory, which I found in our garage, didn’t list even one music shop. Even the major classified ad magazine Exchange & Mart converted to online only in 2009, and forms the backbone of classified ads for a number of local newspapers, although 2009 was also the year I opened an account with eBay. The end of the Yellow Pages is really just another story of something ending that we already thought had done: it was still relevant where the enormously comprehensive books could not fit through your letterbox, but some novels are longer than the 192-page final edition I received. However, the “let your fingers do the walking logo” will continue online – it was originally designed for the US Bell System (now AT&T) in 1962, but because it was never trademarked (and AT&T were too late when they remembered to try) it is now in the public domain, alongside the gay pride flag and the Smiley Face. I could use it to launch my own Yellow Pages, but I’d need to Google the information to go into it.